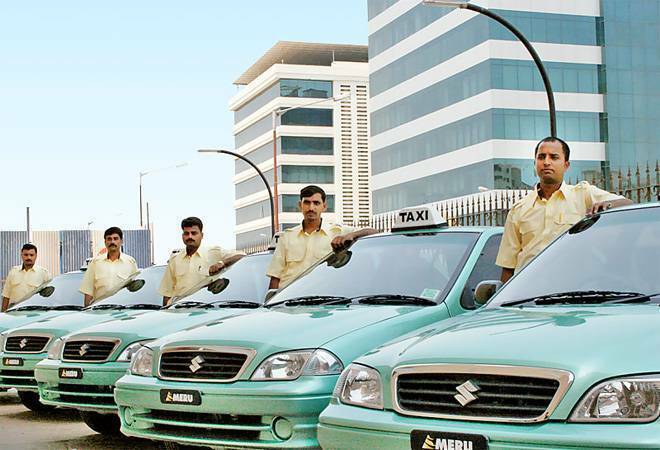 To take on cab aggregators Ola and Uber, car rental service Meru Cabs will now allow drivers to set dynamic fares. The move to launch a marketplace model ushers in a new era for Meru Cabs, which had seen a significant drop in its market share after ride-hailing apps Uber and Ola began services in the country. To take on cab aggregators Ola and Uber, car rental service Meru Cabs will now allow drivers to set dynamic fares. The move to launch a marketplace model where ushers in a new era for Meru Cabs which saw a significant drop in its market share after ride-hailing apps Uber and Ola began services in the country. Meru Cabs is launching the marketplace model in the National Capital Region and plans to expand in other cities by April, Nilesh Sangoi, CEO of Meru Cabs, told The Economic Times. India's oldest radio taxi operator has indicated that the fares offered by cab-hailing companies can be matched as there has been a gradual increase in the fares offered by these cab aggregators. "Over the past three years, consumers have gotten used to cheap fares due to heavy discounting which is what is done for habit forming in any new Internet industry. But it was not sustainable and, therefore, the fares have increased now and it is a more level-playing field," the report quoted Sangoi as saying. The dynamic fares will be shown on Meru Cabs platform as per demand in the location or the time of the day. According to the report, riders will be able to choose from up to 10 taxis whose fares, expected time of arrival, vehicle model and driver ratings will be displayed on the Meru Cabs app. This move will make the fares on the platform more "competitive" and may allow Meru Cabs to be even cheaper than Uber and Ola, Sangoi told the newspaper. The car rental service owns half the cars on its platform which it leases to drivers. Last year, taxi service Meru Cabs had filed four new complaints with the country's antitrust watchdog Competition Commission of India (CCI) against taxi aggregators Ola and Uber for allegedly abusing market dominance in four cities. Interestingly, this comes at a time when Uber and Ola drivers are reportedly planning to go on a country-wide strike on March 19.